Brighten up your next promotion with this cool item! The 17 oz. stadium cup is available in full color digital. 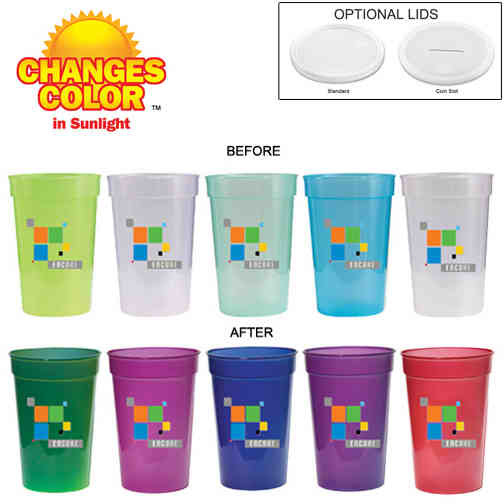 This awesome cup changes color in the sunlight. Select this American made item as your next favor for outdoor events. Company picnics, charity events or sporting games are all great choices to features this fun item. There are 2 styles of optional lids available. Order yours today and people will think of you with every sunny sip.